Hooray, another new brand for me! This is one I've seen around a lot and have wanted to try for a while - Emily de Molly! Since they're based in Australia I haven't gotten around to ordering from them yet, so when a fellow Canadian blogger was destashing some of her pretties I decided to pick these two up. Since these are both from a destash I'm not able to comment on some of the things I normally would in these posts (for example: shipping and customer service) but if/when I do order directly from the brand or a stockist in the future I will update the post with that info. 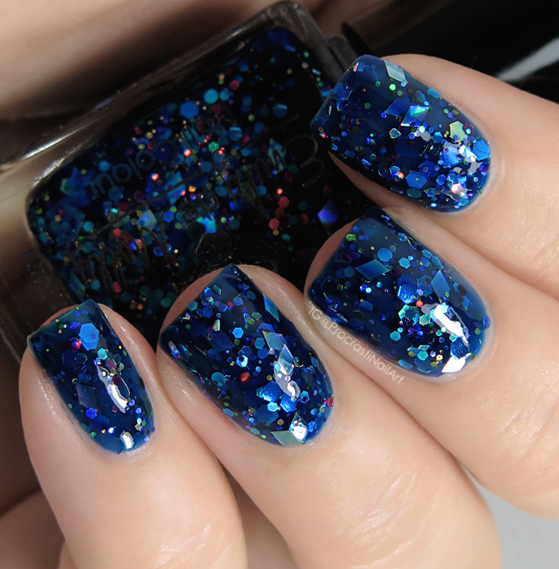 For now I'll just focus on my thoughts on the brand/polish in general! 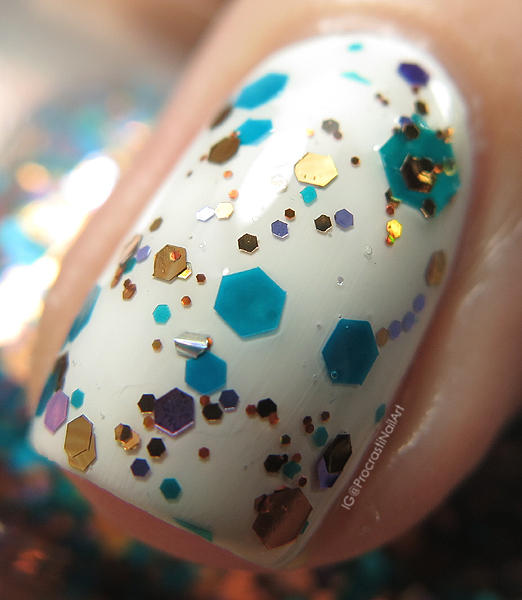 Since this is a jelly it does take three coats to build up to full opacity, but I was pleasantly surprised to find that the glitter applied evenly and without clumping. 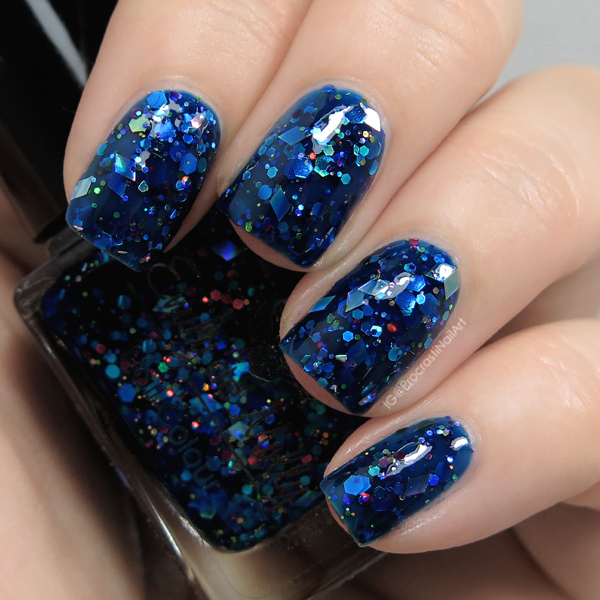 I was worried that this polish would be too thick (especially as I got it as part of a destash) or that the glitter would cluster in one part of the nail, but I had zero issues with application! It did take two layers of my top coat to smooth it all down fully, but it's worth it for the gorgeous final look you get. 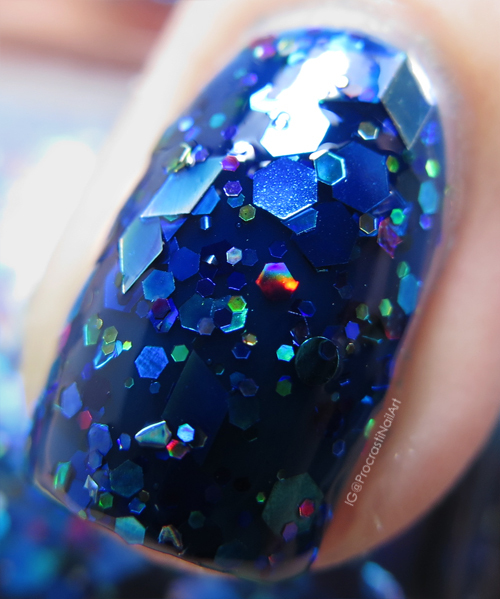 The second polish I have to share and review for you is Copper Field. I have it here swatched over Essie White Page. 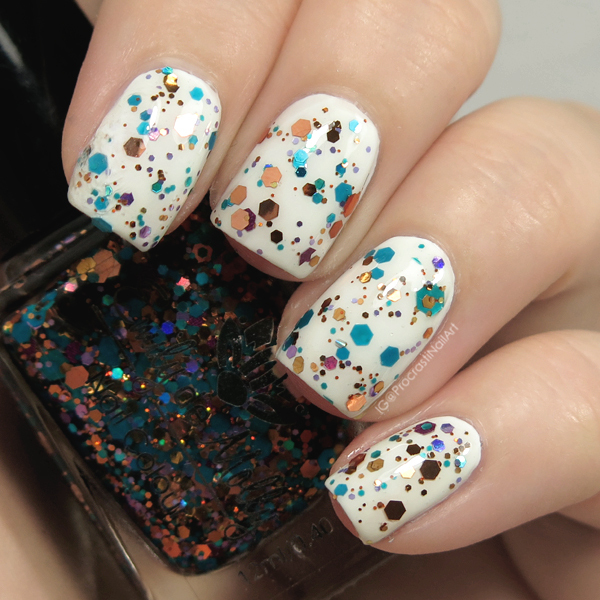 This is a glitter topper with (as expected) some copper glitter, but it also has blue, purple and silver glitter scattered throughout. I really like that the blue glitter isn't metallic and instead is almost slightly transparent compared to the others. Unique! I was worried about application with this one (as glitter toppers can be finicky) but my fears were unfounded once I actually put it on. What you see here is one full swipe of polish per nail, plus a little extra painted on around the edges to make sure the nails were covered evenly. The glitter payoff was PERFECT. One coat of glossy top coat and I was good to go. N/A - I bought these from a destash so I can't speak to the brand's customer service, and I haven't heard much from others to share with you either. 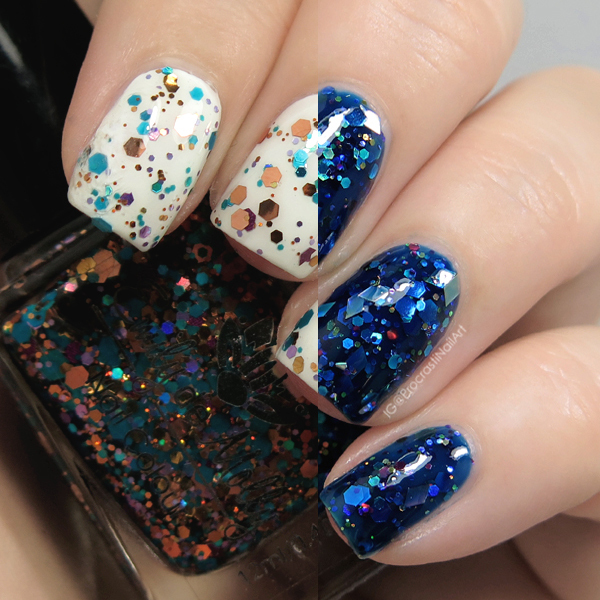 From the two I got I was surprisingly pleased with the quality and application of the polishes - even second hand I had zero issues with application. The glitter jelly went on smoothly and wasn't thick at all, and the glitter topper had amazing glitter payoff for just one swipe. Definitely good quality polish here! This one is also partially N/A as I bought these two from a destash. That being said I can still speak to what the prices would be if I were to order them directly. 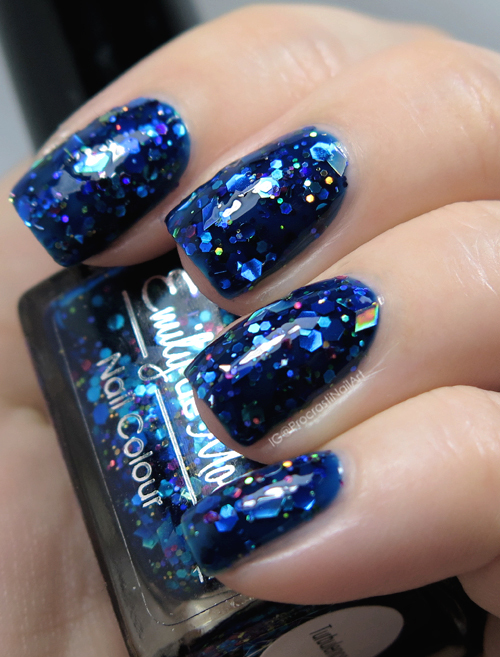 Since I'm in Canada I would have two choices: buying directly from the brand's international site and paying $9 - $11.50 per polish plus $9.50 for shipping (all amounts in US$ so also consider the conversion to CAD$), or buying from an international stockist like Color4Nails and paying $11 - $12 per polish plus $3-$4 for shipping (or free shipping with 6 items, though again keep in mind these prices are all in US$). So in total I'd be paying $20-$25 CAD for one bottle of polish. It might sound steep, but honestly for an indie shipping from the US to Canada I've seen worse. And the shipping rate doesn't go up much for subsequent bottles, so if I ever wanted to make a large order it would be worth it. For just one or two bottles, though? I would probably pass. I think the brand logo is cute and each bottle holds 12 mL of product which is pretty average. :) The bottles feel solid in my hand and I think they look great. 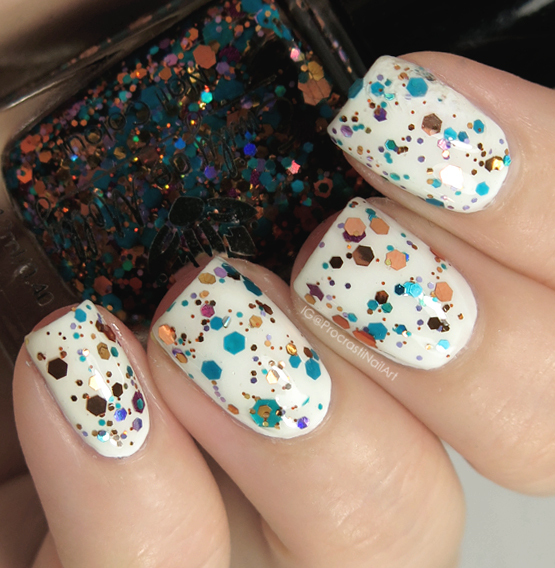 I wasn't expecting anything amazing when I sat down to swatch these polishes but I was pleasantly surprised by how well they went on. I wasn't in love with Turbulence when it was in the bottle but it really impressed me on the nail! Both shades I swatched are wildly different and yet they're both polishes I can definitely see myself using again. I think the price is average for a bigger indie brand, and while I wish there was cheaper shipping from the brand directly they make up for it by having numerous international stockists I could order from. 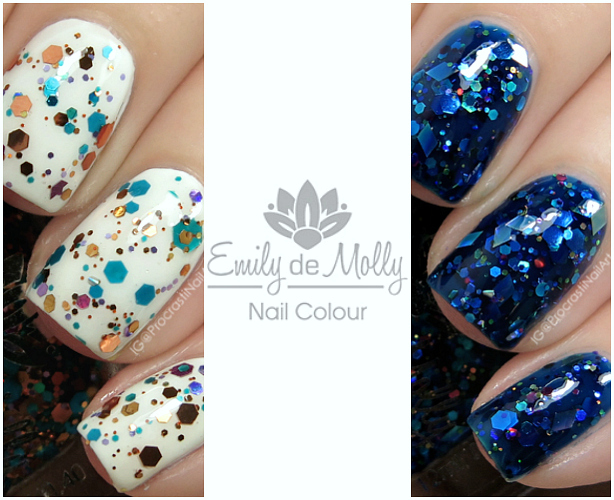 Have you tried polish from Emily de Molly before? Do you have a fav shade you think I should pick up? :) Let me know! Some nice glittery colors they are. Turbulence looks so good on the nails! Oh, I am loving Copper Field!! Great combination of colors! 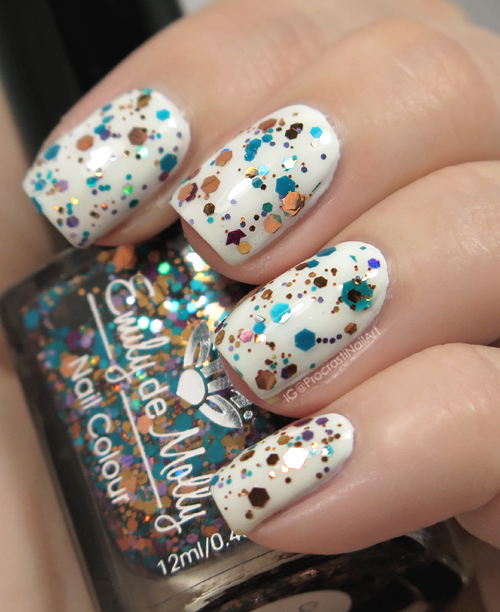 Yay for awesome glitters! Both are lovely! I own no EdM but the first one is so pretty! Love that colour! EdM is one of my long-time loves.